in the Bryan and College Station, TX area. 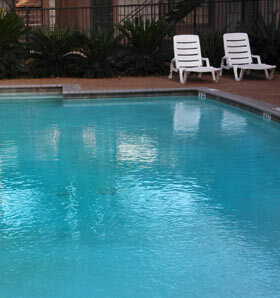 Clear Water Pool Company is Aggie owned and operated, specializing in cleaning and repairing swimming pools. Your swimming pool is a major investment, and one that isn't always easy to care for. Let us help you take the guesswork out of maintaining it and give you a clean, safe pool you and your family will enjoy for years to come. Our technicians are the heart and soul of the company. With over 50 combined years in the care and maintenance of swimming pools, our experienced staff is truly dedicated to providing excellent customer service. 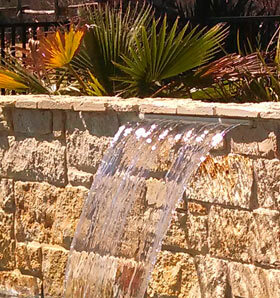 All the technicians are employed and insured by Clear Water Pool Company. The number one goal of Clear Water Pool Company is to keep your swimming pool in good working order to ensure it will remain functioning as a safe gathering place for your family and friends. Keeping your pool in good working order will add years of life to your swimming pool. It is essential that the water in a swimming pool be kept free of algae and bacteria. Our maintenance program will assure that your pool will remain safe for swimming. Protect your investment by keeping your swimming pool in good working condition. Our experienced staff can assess the types of repairs your swimming pool may need. Clear Water Pool Company is owned by Ryan and Kate Moehnke. 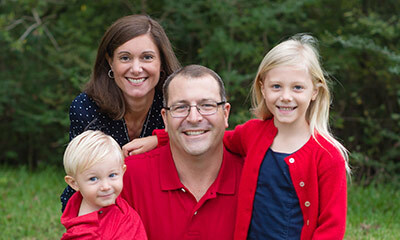 Ryan was the aquatic director at Yale University for 8 years until deciding to move to Texas. Kate received a communications degree from Texas A&M University and loved the area so much she couldn't wait to return and give back to the community. Both former college scholarship athletes in diving, Ryan and Kate built the company in the Bryan and College Station, TX, area on the foundations of hard work, honesty and loyalty. They work hard to ensure you are satisfied and sacrifice nothing for quality workmanship. Ryan and Kate Moehnke with their kids Cora and Ben.